Hans Hugo Bruno Selye was one of the most influential endocrinologists who is known for his research on the effects of stress on the human body. Born in Vienna on 26 January in 1907 to a wealthy family, Hans Selye was initially educated by a governess and then at a private school. His father was a surgeon. In 1931 he was awarded a Rockefeller fellowship at Johns Hopkins University in Baltimore, Maryland, and he studied for another year at McGill University in Montreal in 1932 before a becoming lecturer in biochemistry there the following year. Selye became a professor of the Institute of Experimental Medicine and Surgery at the Université de Montréal in 1934 and he remained there until 1976, becoming director of the Institute in 1945. 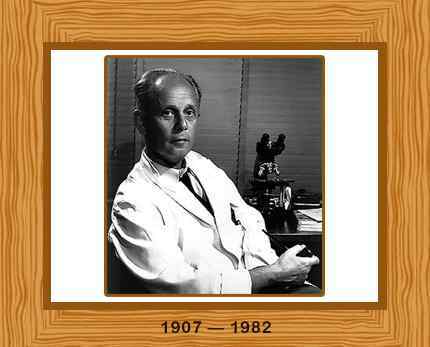 In 1979 Selye cofounded the Canadian Institute of Stress and continued working there until his death in 1982. In 1935, Selye started to work on his theory of the influence of stress on a person’s capacity to handle the pressures of injury and disease. Selye conducted experiments on rats injecting then with ovarian “extracts”. He discovered that this stimulated the adrenal glands causing atrophy of the thymus and ulcers and eventually death. This led him to the conclusion that physiological stress could cause damage the body’s endocrine system. He discovered that patients with an assortment of ailments demonstrated lots of similar symptoms, which he associated with their effort to cope up with the stress of being ill.
Selye termed this collection of symptoms as the “general adaptation syndrome”. He earned worldwide acclaim for his extraordinary contributions and he was named “the Einstein of medicine”. Selye defined “stress” in 1936 in his first scientific paper. He wrote over 1700 scholarly papers and 39 books about stress. His work has been mentioned in millions of publications in nearly all major languages of the world. Selye’s two major books The Stress of Life (1956) and Stress Without Distress (1974) were best-sellers and sold in millions of copies worldwide. As a physician and endocrinologist, he earned three doctorates and was awarded 43 honorary doctorates. Hans Selye became a professor and later director of the Institute of Experimental Medicine and Surgery at the Université de Montréal. During his stay, he showcased the role of emotional responses in creating or fighting much of the wear and tear felt by human beings in their lifespan. He married three times and had five children. Selye died on 16 October in 1982 in Montreal, where he had spent much of life researching the subjects related to stress.